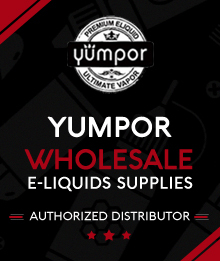 Yumpor e liquid, as a professional e-liquid manufacturer, has the highest standards in materials, production & testing facilities and absolutely amazing flavors. There goal is to make the e-smokers have the most exciting vaping experience and always provide them with the best E-liquid. Yumpor uses 100% Swiss flavors, American Pharmaceutical Grade PG/VG and USP Grade Nicotine to give customers the flavor and feeling they crave.